Draft: 2004, Toronto Blue Jays, 3rd rd. Adam Alan Lind...Attended Highland High School in Anderson, IN and the University of South Alabama...In 2003, he was named as a Freshman second team All-American... In 2004 he was named a Sun Belt Conference All-Star outfielder... Participated in the 2014 MLB Winter Tour. Hit .239 with 17 doubles, 20 home runs and 58 RBI in 126 games during his lone season in Seattle...Among players with 200+ plate appearances at home, ranked ninth in MLB in at-bats per home run at home (12.87/193 AB, 15 HR)... Of his 37 extra-base hits (17 doubles, 20 home runs), 33 came vs. RHP (14 doubles, 19 home runs)...Became one of 14 players in Seattle history to record multiple walk-off home runs in a single season...Hit his fourth career walk-off home run on June 24 vs. STL (Rosenthal)…Became the third player in Seattle history to hit a walk-off home run when trailing by at least two runs)... Hit a pinch-hit, three-run walk-off home run on July 18 vs. CWS (Robertson)…Became one of two players in MLB history to hit two walk-off home runs with his team trailing by two or more runs in a single season, joining BOS David Ortiz (2006)…Also joined Ortiz and five others as the only seven players in MLB history with two behind-to-ahead walk-off home runs of at least three runs in a single season (last: Josh Donaldson, 2014)...Hit safely in 13 of his final 15 games of the season, Sept. 7 - Oct. 1, batting .315 (17-for-54) with three doubles, two home runs and six RBI. Totals - Hit .277 (139x502) with 72 runs, 32 doubles, 20 home runs & 87 RBI in 149 games with Milwaukee. ... High Marks - Set career-high with 66 walks; 149 games, 502 at-bats, 32 doubles were most since 2010. ... Team Leader - Led Milwaukee in games, doubles, RBI and walks. ... Consistent - Hit 20 home runs, his 5th career 20+ home run season (2009-11, 2013 & 2015)…all of his home runs came off right-handers. ... Defensively - Appeared in 149 games, including 135 starts (1B 134 G, DH 1 G). ... Club Record - Tied club record with an RBI in 9 straight games from June 27-July 5, joining George Scott (1975), Cecil Cooper (1982) and Carlos Lee (2005). ... POM - Brewers Player of Month for April (.333, 4 HR, 13 RBI) & June (.326, 3 HR, 19 RBI). ... Milestone - Hit his 150th career home run April 29 at Cincinnati, played in his 1,000th career game May 30 vs. Arizona and recorded his 1,000th career hit June 26 vs. Minnesota. Named the Honda Player of the Month by the Toronto Chapter of the BBWAA for June after hitting .350 with a .362 OBP, .620 SLG, .982 OPS, four doubles, seven home runs, one triple and 22 RBI in 26 games. Won the Honda Player of the Month Award again for September hitting .339 (22-68) while ranking T-1st in home runs (7) & 2nd in RBI (20) among the AL for the month… Also posted a .662 slugging percentage to rank 3rd in the AL during September...Was the only Blue Jays' player to win multiple Honda Player of the Month Awards. Hit at least 20 homers in a season for the 4th time in his career, last year marked the 1st time since 2011. With his 23 home runs last season, surpassed Shawn Green, Jose Cruz Jr., Fred McGriff, and Ernie Whitt for 8th on the all-time club HR list with 137…Is nine home runs shy of Lloyd Moseby for 7th on that list. Hit .314 (76-242) on the road with 29-XBH (14-2B, 1-3B, 14-HR) compared to .260 (58-223) with 12-2B & 9-HR at home. Did not hit a home run until his 24th game of the year, representing the longest he has started a season without hitting a homer. Drew a walk in five consecutive plate appearances from April 20-21 marking the 1st time in club history that a player has accomplished the feat. Played in 93 games, the first time he has not reached the 100 game plateau since appearing in 88 in 2008... Started 57 games at 1B and 28 at DH...Was optioned to Las Vegas (AAA) on May 31 after batting .140 in May... Through April/May was hitting .186 with three home runs and 11 RBI...In Las Vegas, batted .392 with 10 doubles, eight home runs and 29 RBI in just 32 games earning a recall to Toronto on June 25...After recall posted a .288 average with five home runs and 16 RBI in 24 games before suffering a mid-back strain that would keep him out until August 27... Upon his return batted .301 with 13 XBH and 18 RBI in 35 contests... In fact over his final 22 contests posted a .347 average and a .946 OPS...Batted .202 vs. left-handed pitching and now has posted a .186 mark vs, lefties since 2010... Prior to that had posted a .257 average vs. lefties in his career...Preferred the home turf batting .270 with a .782 OPS as oppossed to .241/.674 on the road...Oct. 1 vs, MIN went 4-4 with a double and two RBI marking the 4th time in his career he has posted four hits without recording an out...In now five home runs shy of Jose Cruz Jr. for 10th on the all-time club list. Hit 20+ home runs for the 3rd consecutive season, despite playing in just 125 games, which was his lowest total since playing in just 88 games in 2008... Now has 84 home runs over that time frame which is T-8th in the AL... TIME AT FIRST: Played in 109 games at 1st base this season after only playing there eight times prior to this season and was 4th in the AL in fielding percentage at .996, making just four errors... OUT OF THE GATE: Began the season hitting in eight consecutivegames, batting .343 with three doubles, one home run and eight RBI... Ended 2010 on a 6-game hit streak, marking 14 games in total... MR. OPENING DAY: His home run off Carl Pavano vs. MIN on opening day and has now homered in three straightopening day contests, going 9-12, with 3HR and 10RBI over the three contests... MULTI-TIMER: Had three multi home run games April 26 at TEX, June 5 at BAL, Sept. 18 vs. NYY) to give him seven for his career... WALK US OFF: Hit his 3rd careerwalk-off home run June 14 vs. BAL of Uehara... UP AND DOWN: Prior to the All-Star Break hit .300 (78-for-260), with 16 home runs and 52 RBI in just 67 games... After the break dropped to .197 (47-for-239) with 10 home runs and 35 RBI in 58 games... SINGIN' A JUNE TUNE: Was voted Honda Player of the Month for June by the Toronto Chapter of the BBWAA... Hit .311 (28-90) with nine home runs and 22 RBI... Finished the month T-2nd in the AL in HR (9), 6th in RBI (22) & 7th in SLG (.644)... Homered in a career high four straight games from June 14-17, marking the 11th time in Club history and only the 10th differentplayer to do so... Added his 2nd career grand slam on June 8 at KC off Nate Adcock and his 3rd on Aug. 13 vs. LAA off Jared Weaver... DISABLED: Was placed on the 15-day DL for the first time in his career on May 17 (retro May 8) with lower backstiffness... In a three game rehab with Dunedin (A) was 6-for-10 with 2-R, 3-2B, 2-SB & 4-RBI... Did not return to the lineup until June 4... Ended his season on an 0-11 streak. Appeared in 150 games this season making 120 starts at DH, 16 starts in LF and the first eight starts of his ML career at 1B... 20/20: Hit 20+ home runs for the second consecutive season (58 total)... His 23rd and final home run of the season came on the Club's final game, where he appeared as a left fielder... It gave the Blue Jays 20+ home runsfrom all eight fielding positions plus DH in the batting order, the only team in Major League history to accomplish the feat...STREAKING: Had a career high 14 game hitting streak which matched the Club high (Vernon Wells) from July 1-21 hitting.293 (17-58) with two doubles, four home runs and eight runs batted in... Snapped a career high 0-19 hitless streak on May5 at CLE, the same contest which he would add a game winning 2-run home run in the 9th... WALK IT OFF: Hit a walkoffhome run Sept. 12 vs. TB which was the 2nd walk-off home run of his career (previous: Sept. 26/09 vs. SEA)... NICESTART/FINISH: Started the season by reaching base safely in the first 14 games hitting .309 (17-55) with four doubles,three home runs, 10 runs batted in and eight walks... Finished the season hitting safely in his final five games, while alsorecording 12 extra base hits among his last 20 hits (8-2B, 4-HR)... Began to heat up once July hit, posting a .272 averagewith 21 doubles, 14 home runs and a .513 slugging pct... Batted only .117 vs. lefties (16-137) with a .159 on base pct anda .182 slugging pct... Batted .275 with a .327 on base pct. and .502 slugging pct. vs. righties... Ranked 5th in the AL with144 strikeouts... Batted .237 when ahead in the count and .237 when even or behind. Set career highs in virtually all offensive categories, including leading the club in batting average (.305), RBI (114) & slugging (.562)... Finished 2nd on the club with 35 home runs... SILVER SLUGGER: Was awarded the AL Silver Slugger as a Designated Hitter, representative of the best offensive player at his position... Also received the EdgarMartinez Award, as the top Designated Hitter in 2010... AMONGST THE BEST: Ranked 5th in the AL in total bases (330),5th in doubles (46), 2nd in extra-base hits (81), 3rd in RBI (114) & 5th in home runs (35)... His RBI total of 114 is the mostsince Carlos Delgado's 145 & Vernon Wells' 117 in 2003, and is the 1st 100+ RBI season from a left-handed hitter forToronto since Carlos Delgado posted 145 in that same season of 2003... WHAT A START: On opening day April 6 vs. DETfinished the contest with a then career high six RBI (most by a Jay since Reed Johnson had six-July 1/05 at BOS)... The6-RBI are the most by a Blue Jay in Opening Day history... Previous high was four done five times, last by Darrin Fletcherin 2002 at BOS... The four hits matched the Club record (4th time) for the most hits by a Jay on Opening Day... Is first BlueJays player to hit three home runs in the teams first five games since Carlos Delgado (five in 2001)... His 12 RBI are themost in Blue Jays history after seven games, since Joe Carter had 12 in 1994...A ONE, TWO, THREE: Sept. 29 at BOS,hit home runs in three consecutive at-bats marking the 1st time a Blue jay has hit three home runs in a game since FrankThomas did so against the same Red Sox in 2007... It also marked the 14th three-home run game in franchise history andhe becomes the 11th different player... WALKOFF: Sept. 26 vs. SEA, hit the 1st walk-off homerun of his career... In factbecame only the 2nd player in Blue Jays history to hit two lead-changing home runs in the 8th inning or later in a game(Roberto Alomar - 1991)... HONOURED: Was awarded Co-Player of the Week, concluding Sept. 6...Batted .321 whiledriving in 12 runs... Included an eight-RBI contest, Aug. 31 at TEX... The eight RBI are the 2nd highest single game totalin club history (Roy Howell-10)... DYNAMIC DUO: Adam Lind (114 RBI) & Aaron Hill (108 RBI) have become just the 2ndpair in Blue Jays history to record at least 35-HR, 35-2B & 100-RBI in the same season... Also, the 221 combined RBIbetween the two are the most by a Blue Jay duo since 2003 when Delgado (145) & Wells (117) combined for 262... MR.CLUTCH: In the 7th inning or later, led the ball club in avg. (.303), on-base (.392) & slugging (.554)... Only one other BlueJay recorded an avg. above .280 in the 7th inning or later (Scutaro-.287). Began the season with the Syracuse Chiefs (AAA) & batted .365 (23-63) with three home runs & 16 RBI in 21 games prior to being recalled by Toronto on Apr. 26... Had just one hit in 19 at bats from Apr. 26-May 4 (six games) before being sent back down to Syracuse (AAA) on May 7...Played the next 33 games with Syracuse(AAA) from May 8-June 20, batting .312 (39-125) with 3-HR& 34-RBI... Was recalled by Toronto for the 2nd time thisseason on June 21... Overall, batted .282 with nine homeruns & 40 RBI in 88 games with Toronto this season... YARDWORK: Hit a home run in his first game back with the Clubon June 22 at PIT... Hit a HR three days later vs. CIN at RogersCentre... Batted .333 (19-57) with three home runs & 16RBI in his first 16 games back from being recalled... Hit ahome run in three straight games for the first time in his careerfrom Aug. 16-19... However, the HR on Aug. 19 was hislast of the season... Went the next 35 games without hittinga home run... Hit .366 (15-41) with four home runs & nineRBI in a 10-game span from Aug. 12-23... CARRERHIGHS: Established a career high with a four hit game onJuly 22 at BAL... Matched a career high with a 10-game hitstreak from July 22-Aug. 1, batting .410 (16-39) over thatspan... A HOT JULY: Among AL leaders in July, ranked 4thin batting average (.379), T-4th in doubles (10), 9th in SLG(.644) & T-9th in hits (33)... On July 10 vs. BAL ended thegame with a walk-off single to give Toronto a 6-5 victory... INTHE MINORS: Batted .328 (62-189) with six home runs & 50RBI in 51 games with Syracuse (AAA)... Was the MinorLeague "Star of the Month" for April when he batted .365(23-63) with three home runs & drove in 16 RBI while postingan OPS of 1.010 in 18 contests. Appeared in eight games with Syracuse (AAA) to begin the season before being recalled by Toronto on Apr. 13...Batted .306 with two home runs & seven RBI before the recall...April 14 vs. DET recorded three hits in his season debut...Apr. 24 at BOS scored a career high three runs...On June 5 vs. TB recorded a career high fiveRBI...Recorded eight RBI over two games from June3-5...On June 28, was optioned back to Syracuse whenReed Johnson was activated off the 60-day DL...Before beingsent down, he batted .230 (54-235) with eight home runs& 30 RBI...On Sept. 1 was recalled from Syracuse, makinghis 2nd stint with Toronto this year...Overall, batted .299with six HR & 28 RBI in 46 games with Chiefs...On Sept. 16vs. BAL hit his 9th HR of the season 1st since June 22 vs.COL...Hit home runs in back to back games from Sept.28-29...ROOKIE STATUS: His 11 HR are the most by a Jayrookie since 2002 when Eric Hinske slammed a Club record25 & Josh Phelps added 15...The 11 home runs, ranksT-9th among the all-time Blue Jay single season rookie HRlist...Among AL rookies, ranked 4th in home runs and 3rdwith five outfield assists. Had his contract purchased on Sept. 1, making hisML debut Sept. 2 at BOS... Recorded his first major league hit on Sept. 2 at BOS, a double off of Lenny Dinardo... Hit his 1st major league HR Sept 10th at LAA off Jared Weaver in his 14th career at-bat...Tied a club record for most hits by a Blue Jay rookie after 10 games to begin a career with 15hits...Hit the game-winning HR at NYY on the last day of theseason, Oct. 1 off Farnsworth...Was named the R. HowardWebster Award winner for New Hampshire (AA)... Becamejust the 3rd player in the history of the organization to winthree or more Webster Awards (Carlos Delgado and LuisLopez being the others)...Named Eastern League MVP(AA), ranking 1st in HR (19), and RBI (71)... Ranked 2nd inavg. (.310)... Was promoted to Syracuse (AAA) on July25...Combined to hit .335 (173-517) over three levels (includingthe majors) with 39 doubles, 26 home runs, and 97RBI. Became the 20th player in the organization's history to win two or more Webster Awards, capturing his second team MVP award in as many seasons... Selected to the year-end Florida State League All-Star team after ranking first in the league with 42 doubles and 58 extra base hits,second with a .313 batting average and 155 hits and fourthwith 84 RBI and 80 runs scored...Named as the Blue JaysOrganizational Player of the Month for April after hitting .360with a home run and 23 RBI in 22 games...Selected to participatein the Florida State League All-Star Game, butstruck out in his only plate appearance...In the last week ofJuly, batted .500 with three home runs and 10 RBI to captureFlorida State League Player of the Week honours. Named as a R. Howard Webster Award winner as Auburn's MVP...Ranked second in the New York-PennLeague with 23 doubles, third with 50 RBI and 30 extra base hits, fourth with 83 hits and sixth with a .312 batting average... Also led his team with 127 total bases... Named as a Blue Jays Minor League Star of the Month for July after batting.327 with a pair of home runs and 15 RBI...Named to thepost-season New York-Penn League All-Star Team. August 1, 2018 Pawtucket Red Sox released 1B Adam Lind. June 2, 2018 Boston Red Sox signed free agent 1B Adam Lind to a minor league contract. 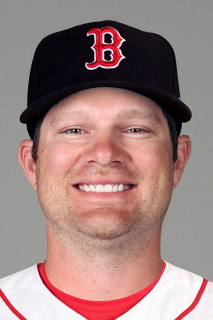 June 2, 2018 1B Adam Lind assigned to Pawtucket Red Sox. May 25, 2018 Scranton/Wilkes-Barre RailRiders released 1B Adam Lind. May 4, 2018 1B Adam Lind assigned to Scranton/Wilkes-Barre RailRiders from Tampa Tarpons. April 18, 2018 New York Yankees signed free agent 1B Adam Lind to a minor league contract. March 14, 2018 New York Yankees released 1B Adam Lind. March 3, 2018 1B Adam Lind assigned to Scranton/Wilkes-Barre RailRiders. March 2, 2018 New York Yankees signed free agent 1B Adam Lind to a minor league contract and invited him to spring training. November 2, 2017 1B Adam Lind elected free agency. February 15, 2017 Washington Nationals signed free agent 1B Adam Lind. November 3, 2016 1B Adam Lind elected free agency. November 1, 2014 Toronto Blue Jays traded 1B Adam Lind to Milwaukee Brewers for RHP Marco Estrada. August 12, 2014 Toronto Blue Jays activated 1B Adam Lind from the 15-day disabled list. August 10, 2014 Toronto Blue Jays sent 1B Adam Lind on a rehab assignment to Dunedin Blue Jays. August 7, 2014 Toronto Blue Jays sent 1B Adam Lind on a rehab assignment to GCL Blue Jays. May 8, 2014 Toronto Blue Jays activated 1B Adam Lind from the 15-day disabled list. May 4, 2014 Toronto Blue Jays sent 1B Adam Lind on a rehab assignment to Dunedin Blue Jays. April 28, 2013 Toronto Blue Jays activated 1B Adam Lind from the paternity list. April 25, 2013 Adam Lind roster status changed by Toronto Blue Jays. April 25, 2013 Toronto Blue Jays placed 1B Adam Lind on the paternity list. August 26, 2012 Toronto Blue Jays activated 1B Adam Lind from the 15-day disabled list. August 23, 2012 sent 1B Adam Lind on a rehab assignment to New Hampshire Fisher Cats. August 21, 2012 sent 1B Adam Lind on a rehab assignment to Dunedin Blue Jays. July 30, 2012 Toronto Blue Jays placed 1B Adam Lind on the 15-day disabled list retroactive to July 26, 2012. Mid-back strain. June 25, 2012 Toronto Blue Jays selected the contract of 1B Adam Lind from Las Vegas 51s. May 31, 2012 Toronto Blue Jays sent Adam Lind outright to Las Vegas 51s. May 17, 2012 Toronto Blue Jays optioned Adam Lind to Las Vegas 51s. June 4, 2011 Adam Lind roster status changed by Toronto Blue Jays. June 1, 2011 sent 1B Adam Lind on a rehab assignment to Dunedin Blue Jays. May 17, 2011 Toronto Blue Jays placed 1B Adam Lind on the 15-day disabled list retroactive to May 8, 2011. Lower back injury. June 20, 2004 Toronto Blue Jays signed 1B Adam Lind.